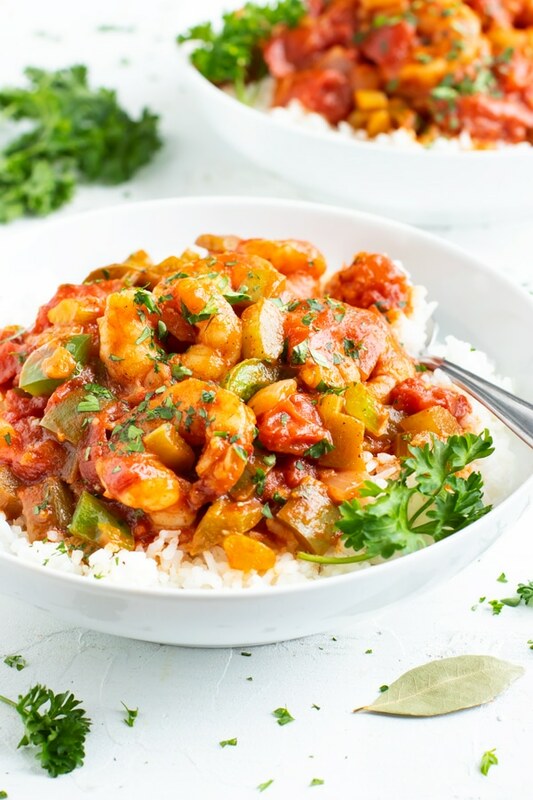 Shrimp Creole is a Louisiana classic recipe that starts with the holy trinity of onion, bell pepper, and celery, is spiced with a bit of hot sauce, and then served over a bed of rice. This easy shrimp creole recipe is naturally gluten-free, dairy-free, and can be ready in under 45 minutes! If you’re in the mood for a few other Cajun classics like this shrimp creole recipe, you might want to try this Shrimp and Sausage Gumbo, Cauliflower Dirty Rice, or this Chicken and Sausage Jambalaya. My entire life I lived in a small town in Southern Texas on the border between Texas and Louisiana. You can just IMAGINE how incredible and fresh the seafood was! Ever since moving to Austin 5 years ago I have found it quite difficult to find good Cajun or Creole food that satisfies my cravings. 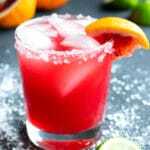 So instead, I have learned how to recreate some of my favorites at home. 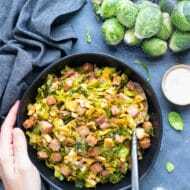 From Blackened Salmon and Shrimp and Sausage Gumbo to Cajun Jambalaya and Cauliflower Dirty Rice… you can bet that these are all LOADED with the flavors you know and love and are not watered-down-versions of the classics. 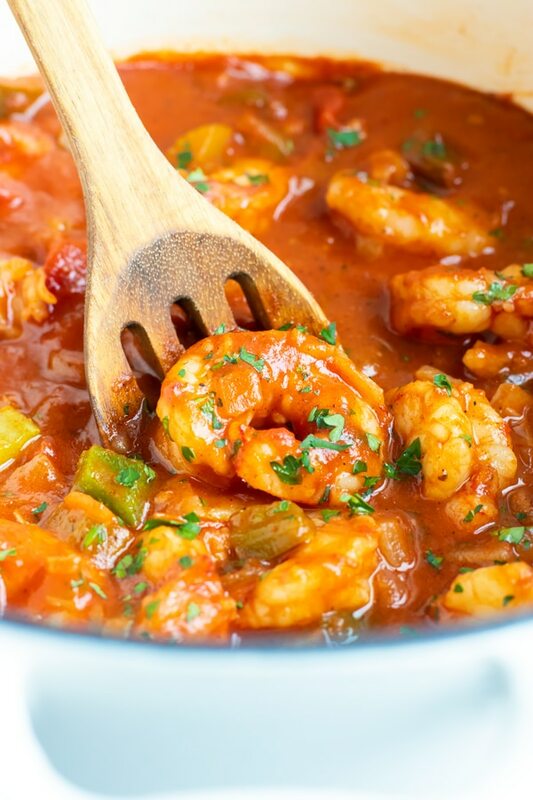 So without further ado, let’s dive into how to make shrimp creole, the ingredients you will need, shrimp selection, and how to serve, store and reheat this easy shrimp creole recipe. 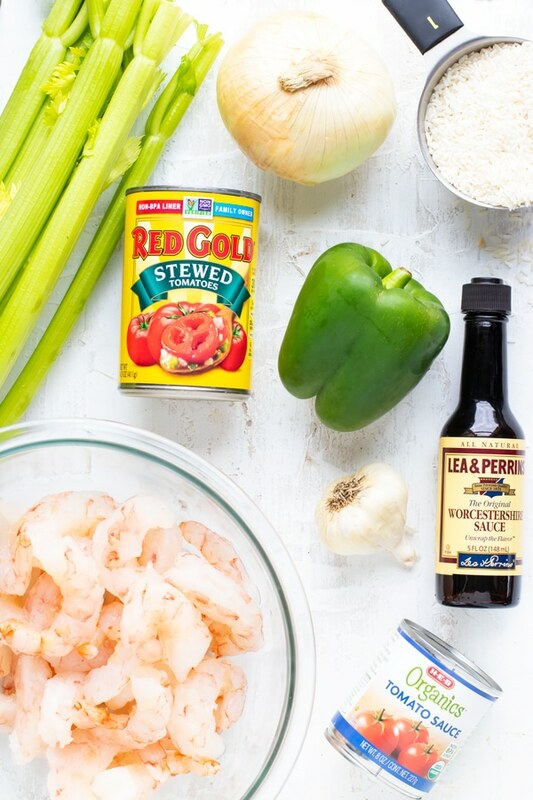 Much like many other Louisiana dishes, this shrimp creole recipe starts with the “holy trinity” of celery, onions, and bell peppers. After sautéing them for a few minutes, add canned stewed tomatoes, tomato sauce, a few spices, and bay leaves. Bring to a boil and then simmer in a covered Dutch oven for 20 minutes. Next, remove the bay leaves and add the shrimp, hot sauce, and Worcestershire sauce. Continue cooking the shrimp creole until the shrimp are just done cooking. Serve over rice for a more authentic shrimp creole recipe or over cauliflower rice for a low-carb version. Cook’s Tip: Make sure you do not overcook your shrimp or else they will become rubbery. 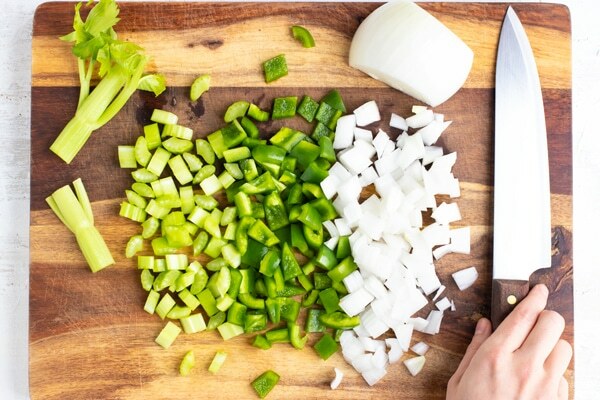 Holy trinity – The celery, bell peppers, and onion are essential to create the flavors typically found in a Louisiana-style shrimp creole recipe. I would not advise to leave any of these out! Cook’s Tip: If you have a picky eater, cut the vegetables large so they can pick them out. 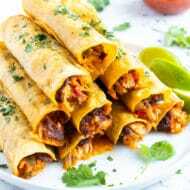 Stewed tomatoes – Stewed tomatoes are different from other canned tomatoes in that they have a bit of sugar added to them. If you are on a Whole30 or Paleo diet you can substitute these for diced tomatoes, but just know the taste and flavor will be slightly different. 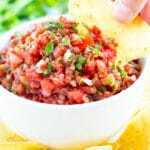 Tomato Sauce – Make sure when selecting your tomato sauce you get the regular tomato sauce, not the Italian-style. 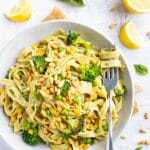 Blackened seasoning – The spice level of your shrimp creole will change drastically depending on the type of blackened or Cajun seasoning you use. (See below for different seasonings that will work well.) If you are unsure of how spicy your seasoning blend is, add half of the amount suggested and add more as needed. Buying wild shrimp. This not only makes a huge difference in the taste, but also in the quality of the shrimp you are eating. Look for fresh shrimp. Fresh shrimp have a WAY better taste and texture than previously frozen shrimp. However, if you cannot find wild AND fresh shrimp, I would opt for the wild and previously frozen. A medium-large sized shrimp is best. If going to your seafood counter, look for a 20/24 count shrimp. This means there are 20-24 shrimp in one pound. Much larger or smaller and you will need to adjust the cook time accordingly. 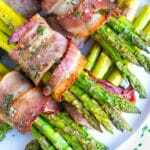 Homemade Blackened Seasoning – This blend was tested in this recipe and came out wonderfully! A not-too spicy, but still FULL of flavor. Slap Ya’ Mama Cajun Seasoning – They have both a regular and a hot blend. 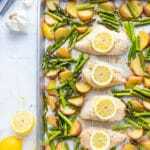 This seasoning was also tested and works wonderfully in this recipe. Emeril’s Blackened Seasoning – I have not personally tested this blend, but it is one of the few that does not have MSG and will probably taste great in here, too! 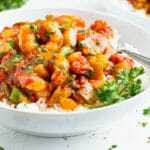 If you would like to serve this shrimp creole recipe the authentic New Orleans way then you will want to pile it on top of a bed of white rice with a sprinkle of fresh parsley. A toasted baguette on the side would be a nice touch, too. 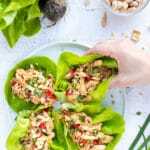 This recipe is also pretty low in carbs and can be kept that way by serving the shrimp creole over a bit of sauteed cauliflower rice. 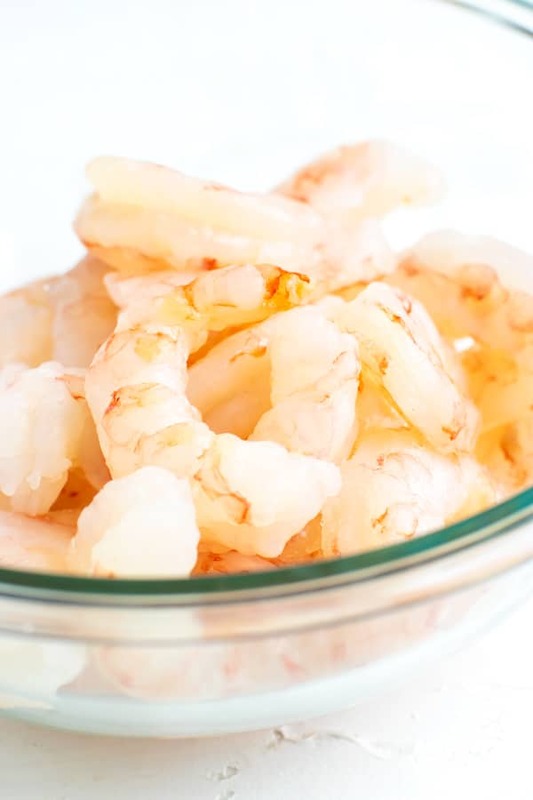 Store in Freezer: While the shrimp’s texture will definitely change a bit if this recipe is frozen, you can still do it. 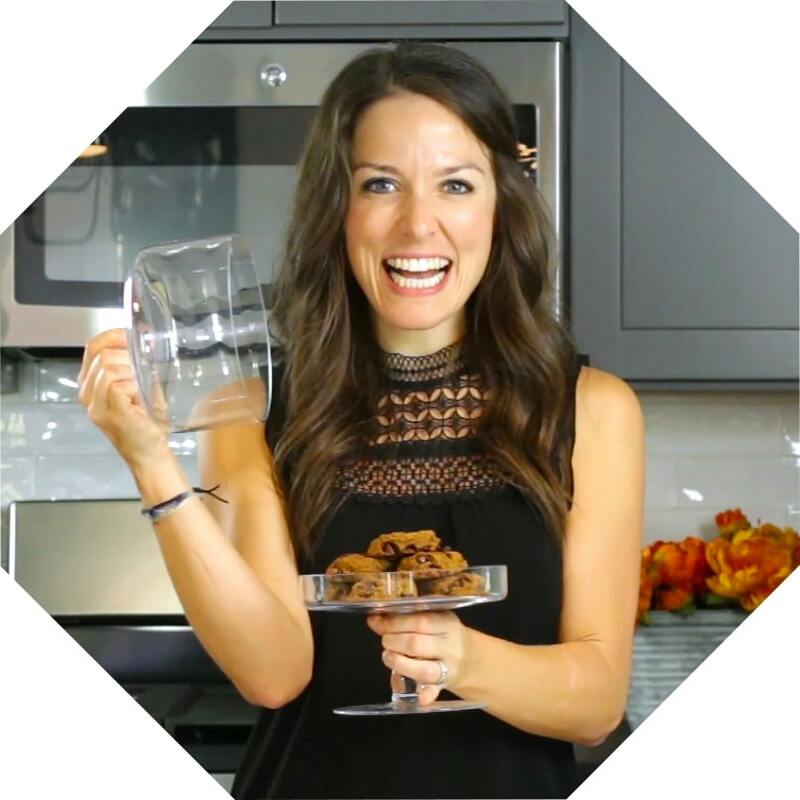 Simply bring it to room temp, refrigerate for at least 3-4 hours, and then transfer to the freezer in a freezer safe container. 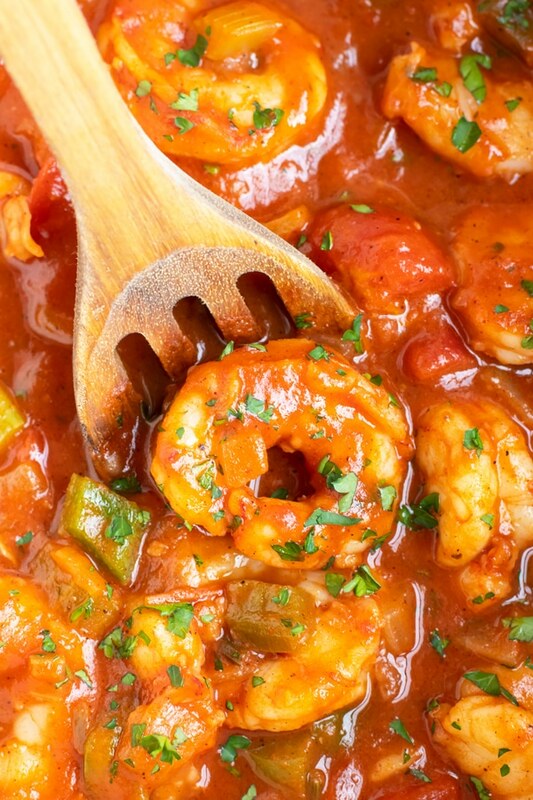 This easy shrimp creole will freeze well for 3-4 months. Want more recipes like this Easy Shrimp Creole? 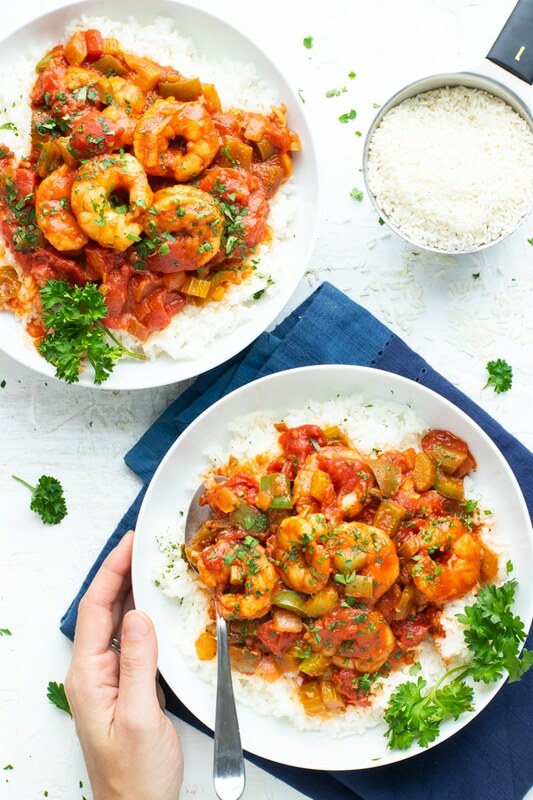 Shrimp Creole is a Louisiana classic recipe that starts with the holy trinity of onion, bell pepper, and celery, is spiced with a bit of hot sauce, and then served over a bed of rice. In a large pot or Dutch oven over medium heat add oil, onion, bell pepper, and celery. Sauté for 5-6 minutes, or until onions are translucent. Add crushed garlic and continue sautéing for 1 minute. Add stewed tomatoes, tomato sauce, chili powder, blackened seasoning, salt, and bay leaves. Stir until well mixed. Bring ingredients to a boil and then reduce heat to low. Cover and simmer for 20 minutes. In a small bowl whisk together starch and water until well combined. When done simmering, remove bay leaves from pot and stir in starch-water slurry. Add shrimp, Worcestershire, and hot sauce. Continue simmering, uncovered, for 5-6 minutes or until shrimp are cooked through. Serve shrimp creole over rice or cauliflower rice with fresh parsley and enjoy! 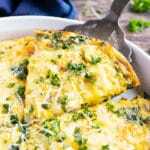 Recipe is calculated without rice or cauliflower rice. Alternatively, you can use store bought blackened seasoning or Cajun seasoning. 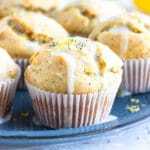 This recipe looks almost like mine with a few additions and it’s my husband’s favorite. 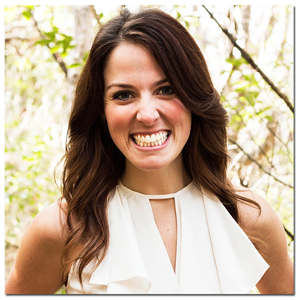 I’m going to try a few of your additions – thanks for sharing! Definitely will be making this for Mardi Gras!